I first ordered 3 Sonoffs and once I have them deployed at home I ordered 3 more. There were some minor but significant changes on this second batch. First there was a label with a text in chinese that (according to Google Translator) says “tore invalid”, preventing the unwanted (!!) opening of the case, as if they were telling you: from here on, under your responsibility. Also they used a slightly taller button that sticks out of the case almost 2 millimetres. But the most curious change is that they added blobs of tin to the unpopulated RF module header!! Wow!! I almost feel like if it was my fault. I don’t really know the reason: is it because they don’t want you to solder anything there? or is it an improvement on their production flow? The first option is somewhat hard to believe… anyone willing to solder anything there would know how to remove those blobs of tin (or even use them). As for me I just heat them a bit with the iron tip and then slam down the board against the table. Anyway: small changes and no layout redesign. 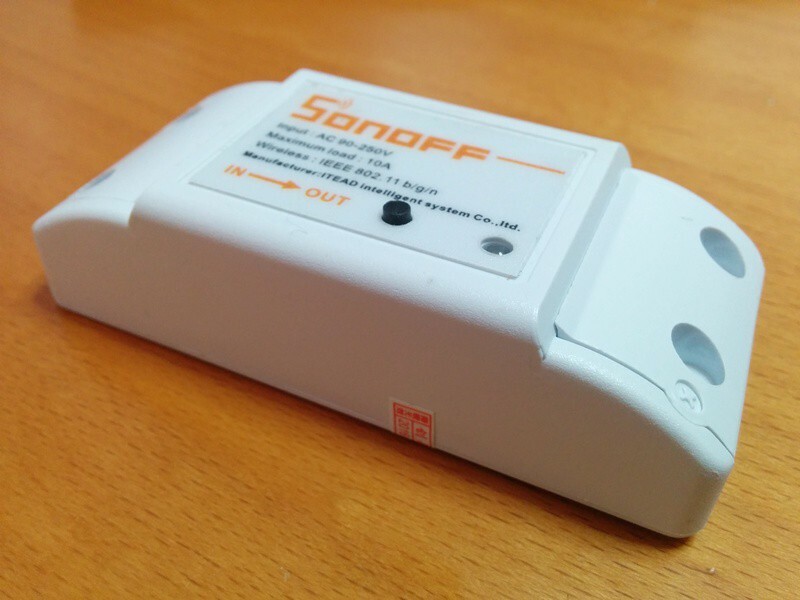 A Sonoff from the second batch I bought. Notice the label and the button popping out of the hole. It still has a programming header and a button (hopefully attached to GPIO0), good! Up to 16A relay for the Sonoff TH 16A. No enclosure included, but there is a free 3D model available. A 3.5 jack to attach sensors, they are selling 3 different temperature and humidity sensors, but probably any sensor you can think of that requires power, ground and a digital pin would fit (PIRs, Sharp distance sensors or Parallax PING,…). 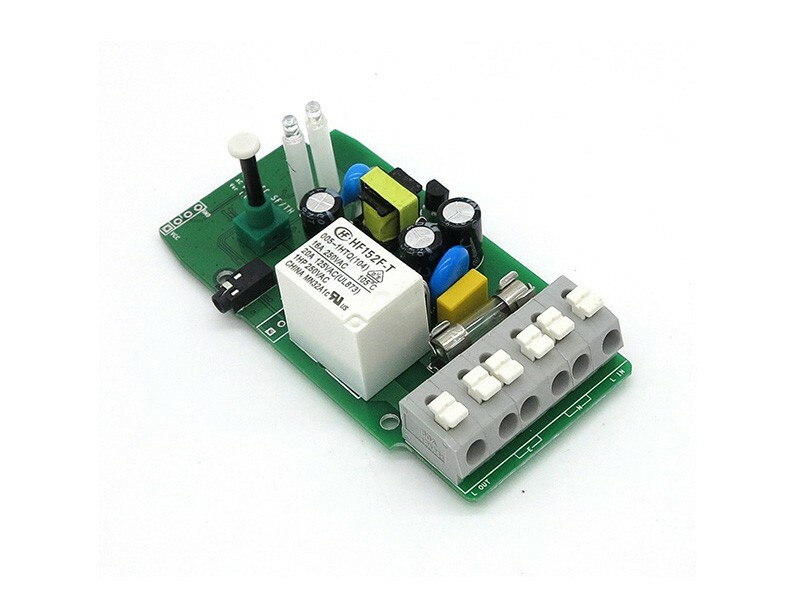 There are some changes in the AC/DC design, they added an input fuse and a thermistor (?) at least. Two LEDs, let me guess: there is one attached to the same GPIO the relay is. They are using push terminals, not screw ones. But even thou there are 6 of them, apparently they are not meant for NC/NO operation, according to the wiring diagram in the product page. 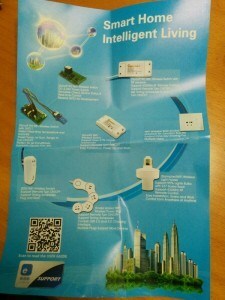 Sonoff TH 16A. Picture by Itead. Pics don’t show the bottom of the board, so no idea about track thickness or creepage, but the new design (with the input and output lines on the same side of the board) provides better isolation between safe and unsafe parts of the board. There are other new products on their site, most notably the PSF-A85 module, amongst the first to integrate Espressif ESP8285 chip (an ESP8266 with 1 Mbyte embedded SPI flash memory) and the PSA Wifi module (although they are not selling them individually yet). This last one encapsulates smart switch functionality in one module (wifi, relay and configuration button) but it looks like you cannot modify (or even access to) its firmware. There is still little information about it so we will have to wait. All in all, Itead is rapidly evolving it’s smart home product line, adding new products and redesigning old ones, probably with the goal of being CE/UL compliant soon. Some will argue than wifi is not the best technology for home automation (too power hungry, limited number of devices per AP,…). But right now is probably the best option for the non-makers out there, a plug-n-play solution for your home. ITead’s Evolution by Tinkerman is licensed under a Creative Commons Attribution-ShareAlike 4.0 International License. 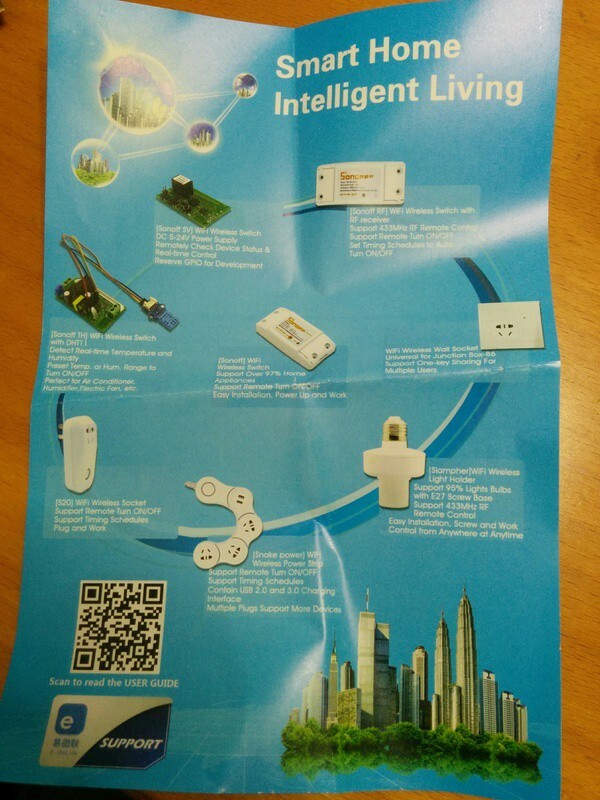 Hello Xose, thanks for your code for the itead sonoff. Me and my friend have flashed our sonoffs & are quite happy with the functionality. However we noticed that after configuring the MQTT urls, it does not work as expected. Looking at the code it seems a hard coded 192.168.1.100 IP address. (Config.h line 21). to validate this, we changed the IP address of my MQTT server to 192.168.1.100 & only then were able to use MQTT. can you please validate this or if i am missing some step. ps. i did not find a place to write a comment on bitbucket.org hence i wrote it here. i have some more questions which i will post shortly. You can configure your MQTT server in the web interface. You will have to flash the SPIFFS image too if you have not done it yet. Then connect to the device wifi (something line SONOFF_XXXXXX) and visit 192.168.4.1 to see the web interface. In the “Administration” tab you will find all the configuration options available at the time, including the MQTT server, port, user and password or topic. Let me know if you need more information and thanks for your comment!! Yes. that is exactly where i configured the MQTT details. does not work. after i changed my MQTT server IP address to 192.168.1.100 it worked. Mmm… just checked it with the latest firmware (0.9.4) and it kind of worked for me, changing from one MQTT broker to another. The problem I have found is that it doesn’t reconnect to the WIFI after updating configuration, instead you have to manually reset it (unplug and plug again). Of course that behaviour is completely unwanted, I have to take a closer look at it. UPDATE: The problem was that 5 seconds is not enough to connect to the local WIFI at home… increasing the WIFI_CONNECT_TIMEOUT parameter to 10000 (10 seconds) solved the problem… I don’t know if that could be your problem too… did you try to reset the board after updating the configuration? Maybe you can check out the last code and give it a try? we had downloaded the code sometime early july. we will try with the latest version this weekend. given that we work on this side project on the weekends only, response might be a bit slow. Yes, that hardcoded IP is the default IP for the MQTT broker, but it should be overriden by your custom settings. Latest version stores this settings in the EEPROM so they will persist after firmware of filesystem updates. Please let me know if there will be any step forward this next weekend. You say : “No enclosure included, but there is a free 3D model available.”, but i can’t find it. Where is the 3D model ? 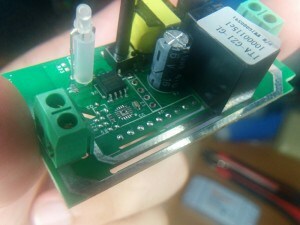 In the Sonoff TH 10A/16A product page you can find a link to the enclosure. 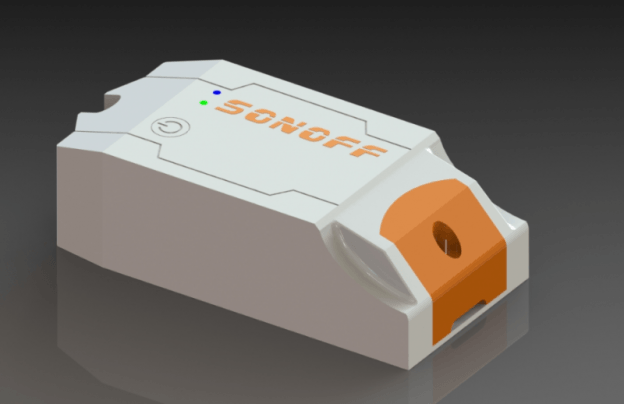 This is the direct download link in case you don’t find it: 3D Model for the Sonoff TH 10A/16A enclosure. Anyone flashed the new Sonoff TH 10A/16A with ESP Easy firmware? I haven’t, but I will soon receive some samples from Itead and I plan to adapt my ESPurna firmware to them. I can give ESP Easy a try too. Very cool of you! Thanks! Love the concept of ESP Easy firmware where it has a web interface for all settings and “it just works” (trademark) with a set of pre-defined sensors. And also love the project philosofy with a whole open source community backing the same code. I would like to contribute (as much as I can) to a schedule function in your espurna software… but I need to get some info from you first… where should I ask the questions? Here? It’s about how I set the relays (so that the alarm could do it at a certain time). Maybe you have already written something about it that I don’t find. Give me some directions and hints please. Hi Andréas. I guess it’s better to communicaty by email. You already know my email. There is nothing in place but I do have an idea of the functional requirements.